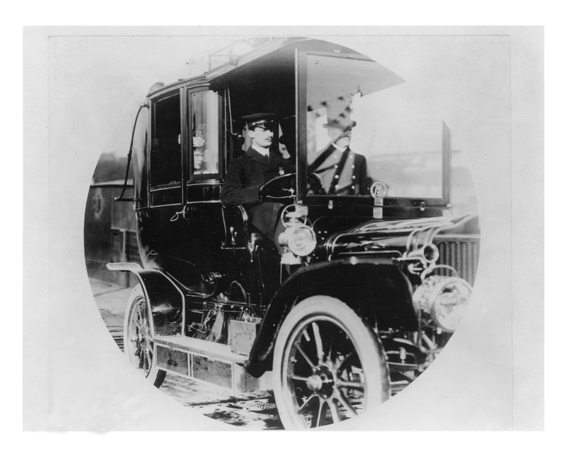 Augustus Post, Chairman of the Touring Comittee of the American Automobile Association, at the wheel of his 1905 White steamer in the well-know New York to St. Louis Tour which took place from July 25 to August 10, 1904. 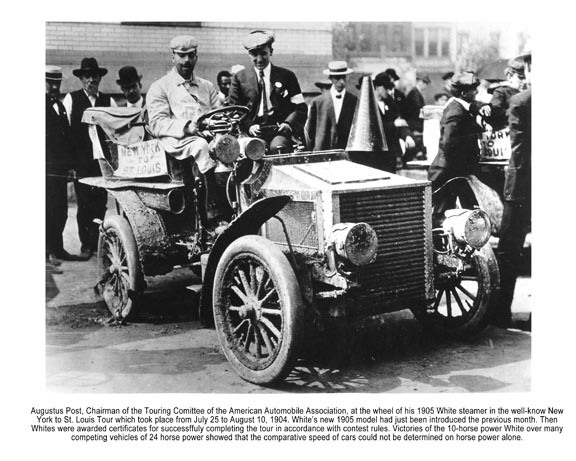 White’s new 1905 model had just been introduced the previous month. 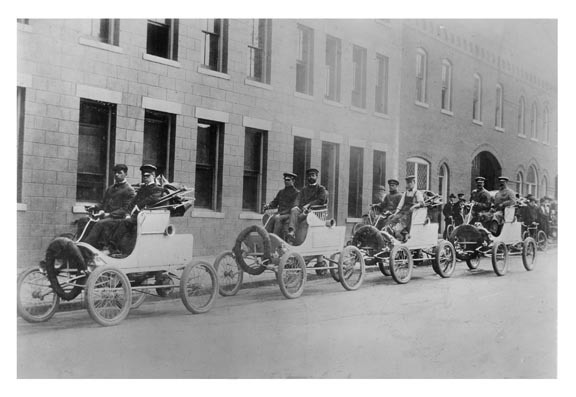 Then Whites were awarded certificates for successfuly completing the tour in accordance with contest rules. 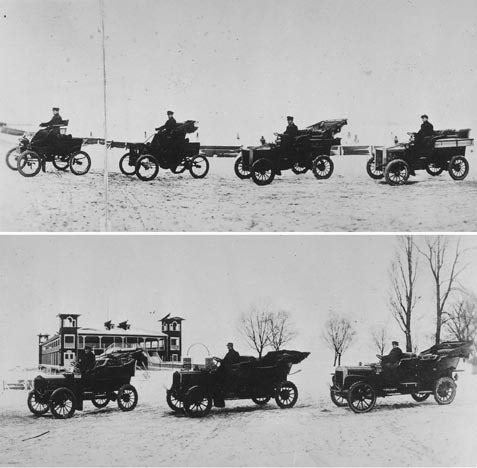 Victories of the 10-horse power White over many competing vehicles of 24 hourse power showed that the comparative speed of cars could not be determined on horse power alone. 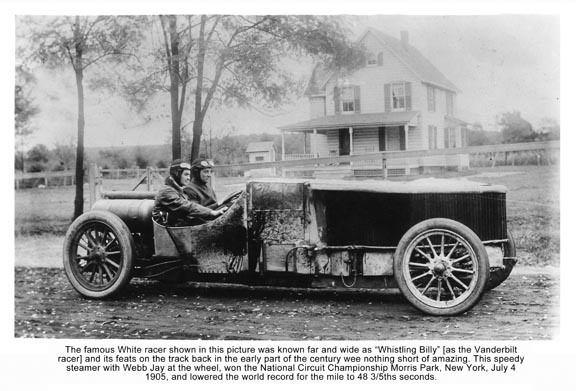 The famous White racer shown in this picture was known far and wide as “Whistling Billy” [as the Vanderbilt Racer] and its feats on the track back in the early part of the century were nothing short of amazing. 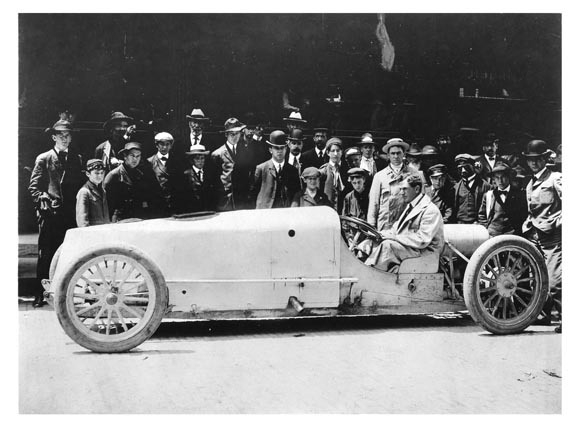 This speedy steamer with Webb Jay at the wheel, won the National Circuit Championship Morris Park, New York, July 4, 1905, and lowered the world record for the mile to 48 3/5ths seconds. 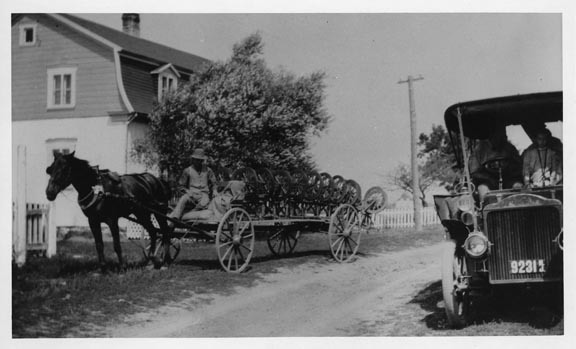 Axles arriving by horse drawn wagon. 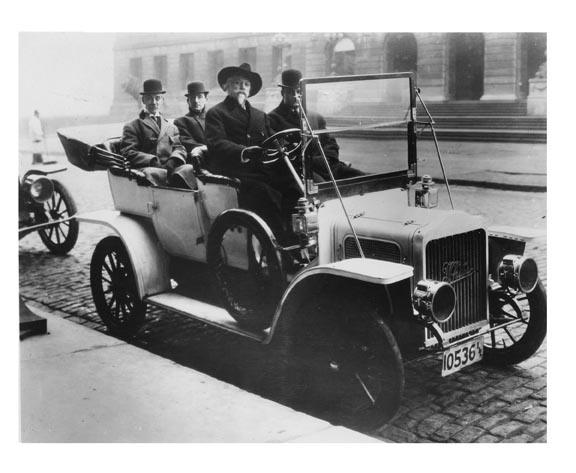 President Theodore Roosevelt shown in the rear seat of his White steam car in 1908. 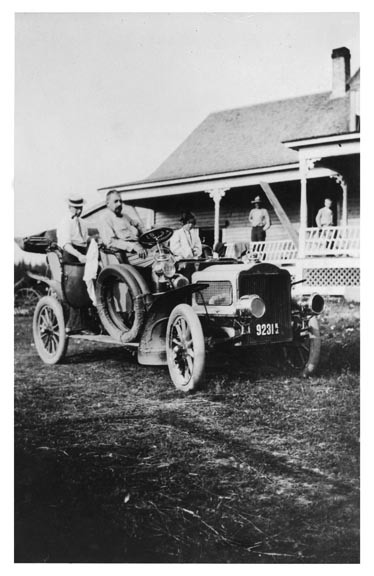 The great Teddy, advocate of strenuous living, perferred the most modern conveyances obtainable for his tours aobut the country. 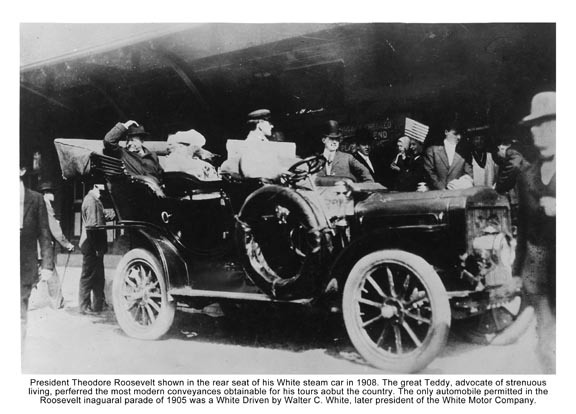 The only automobile permitted in the Roosevelt inaguaral parade of 1905 was a White Driven by Walter C. White, later president of the White Motor Company. 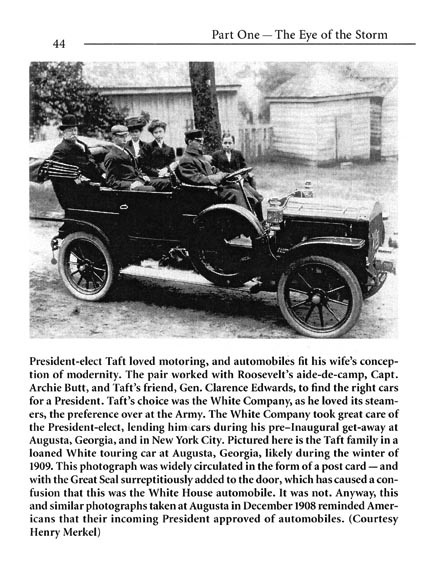 President William H. Taft riding in his 40 hp White Steamer in 1910. 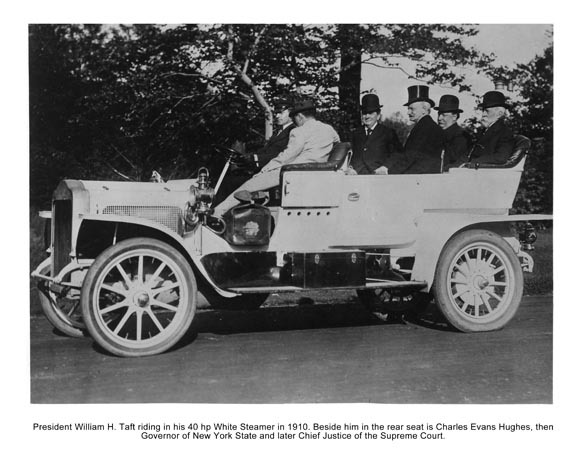 Beside him in the rear seat is Charles Evans Hughes, then Governor of New York State and later Chief Justice of the Supreme Court. 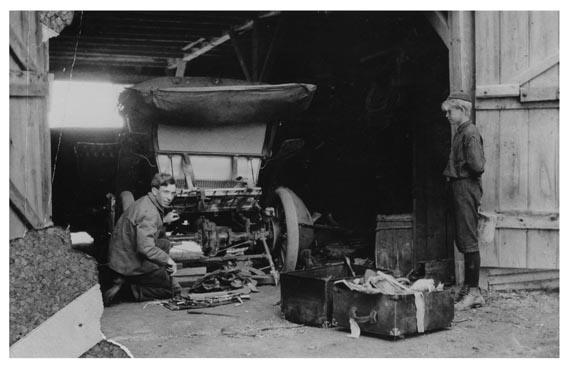 Right Photo: Please give credit to the White Motor Company when this picture is published. 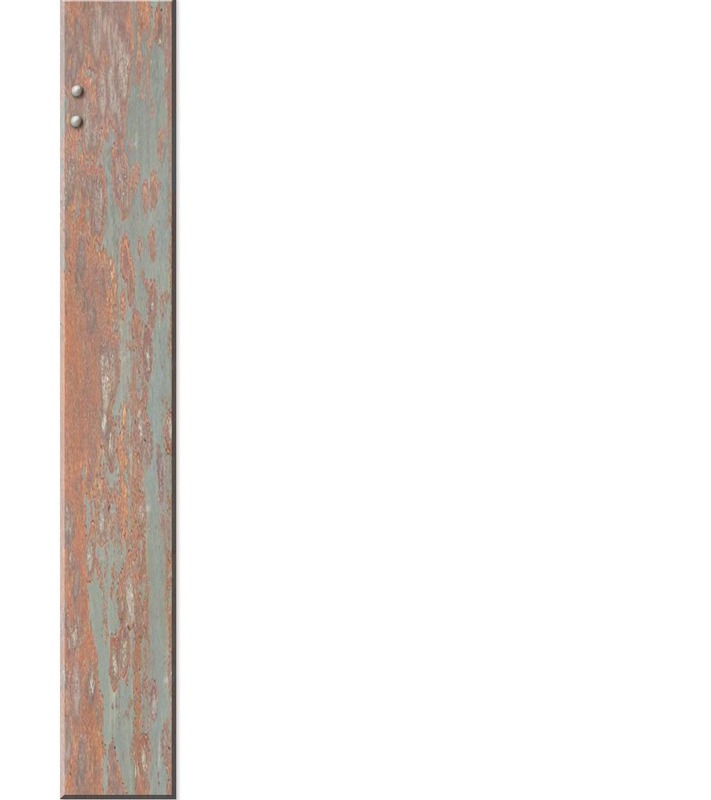 If additional copies are wanted specify phtograph number 6543060. Left Photo: Principals in one of the greatest heavyweight fights of all time--the Johnson-Jeffries fight at Reno, Nevada on July 4, 1910. 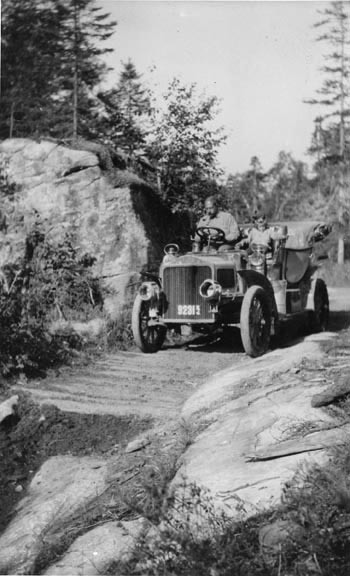 Photo shows the two men in training, being paced on the road by White steamers. 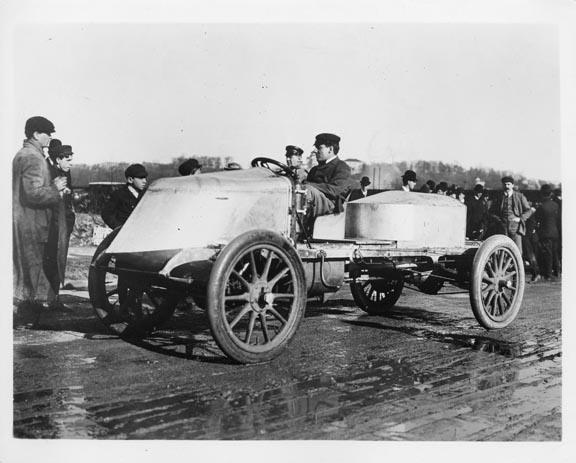 On the left is James J. Jeffries doing raod work with his manager, Sam Berger, beside him (center) and the White steam car keeping pace at the side. 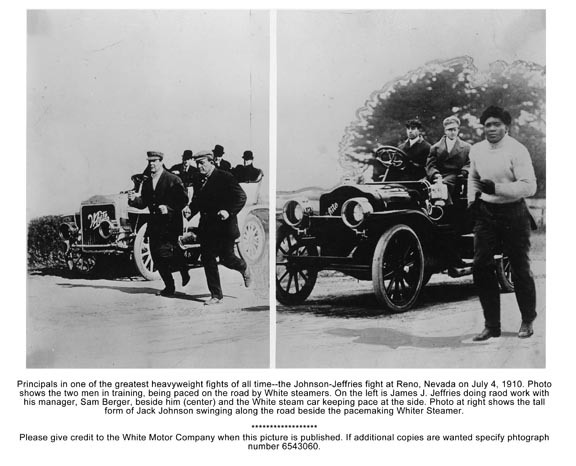 Photo at right shows the tall form of Jack Johnson swinging along the road beside the pacemaking Whiter Steamer. 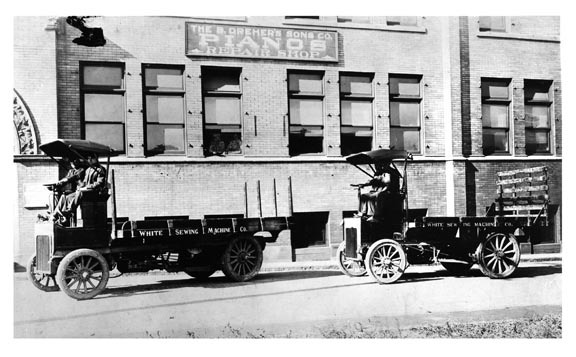 Globe and Phoenix, Arizona. 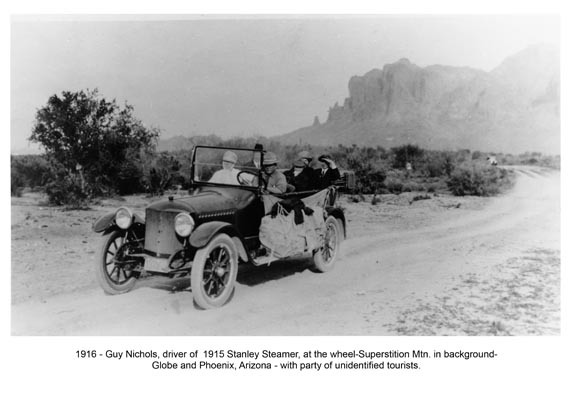 The people with him are unidentified tourists.